Last Day to Sign Up for Boxwalla Beauty February 2019 + Full Spoilers! 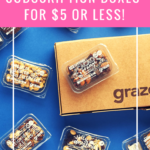 Today is the last day to subscribe to the February 2019 Boxwalla Beauty box! This February we showcase the cult brand Siam Seas, founded by Supadra Geronimo, who harnesses the herbal knowledge of Ayurveda, Traditional Chinese Medicine and Thai medicine in formulations that are a unique combination of the ancient and the modern, providing an unusual sensory experience & incredible efficacy. The February Beauty Box will contain two not-yet released, full sized category-defying products from Siam Seas. Kwam Rak (meaning love in Thai) fits in the space between a lotion and an oil, being neither but performing the function of both, with incredible botanicals like green tea, turmeric, ashwagandha along with plant derived ceramides. A true serum made in a base of aloe juice, it is light & creamy & instantly absorbs into the skin and hydrates while also providing deep and lasting nourishment like a rich body oil, balm or cream would. The scent is sweet, floral and spicy with spicy mustard seed segueing into the scent of frangipani & jasmine sambac. Sai (meaning clear in Thai) is another genre-bending multitasking product. It is composed with the synergistic combination of ancient botanicals like king of bitters, milk thistle, mangosteen, gypsum, kala jeera, ashwagandha, sompoi, neem with modern actives & extracts like vitamin c ester, ceramides & MSM. What results is an extraordinary barrier protecting vitamin C serum, that clears the skin, forms a protective barrier against environmental stressors, reduces scarring, brightens the skin & evens the skin texture, calms inflammation & helps with skin conditions that include, active acne, eczema, rosacea and psoriasis. Excellent for all skin types. How do I sign up for the April Beauty box??? I am on the website, I created an account, and it won’t let subscribe to the April box. I am at a loss. I’ve had my eyes on this box. I’m assuming these name brands are just as good if not better than the hype here in America. This box is the so expertly curated, they really go all out to find indie brands that make high quality products.